Greenville Meet The Doctors - Dr. William W. Brown, Jr. Graduated from Bob Jones University in 1984 and from West Virginia University School of Dentistry in 1987. Following dental school, he completed a two-year general practice residency at Wake Forest Medical Center in Winston-Salem, NC. Dr. Brown’s residency allowed him to gain additional medical training not included in the regular dental school curriculum. 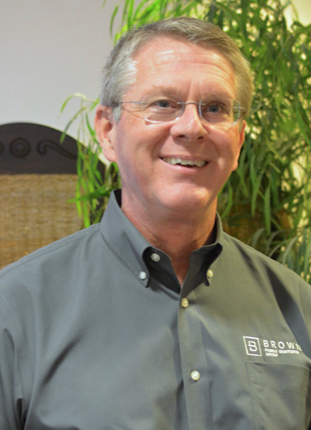 After his residency, Dr. Brown opened Brown Dental Associates in Greenville in August of 1989. In the beginning, the practice consisted of Dr. Brown and his wife Ronda. Today, Ronda is in a supportive role out of the office, keeping their home running smoothly and taking care of their two children, Davy and Mary Katherine. 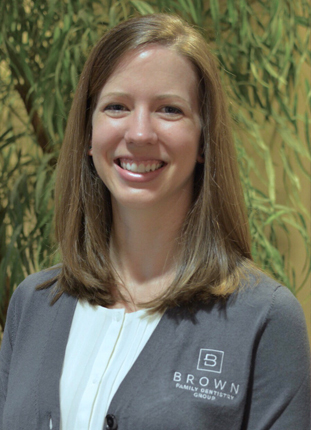 Dr. Brown’s practice philosophy is based on how people want to be treated as a patient. He believes that it is our job as dental professionals to tell you what we see and how we would fix the problem if it happened to us or our family members. Our patients have full control over every aspect of their dental care. We only recommend treatments that your truly need, and you decide if you want that treatment, how much you want, and how fast you want to proceed. One of the biggest meetings is in Atlanta, which is convenient for us in the Greenville area, every March, so we try to go down every year with the staff too. It’s good for them to get out and see, hear other people, hear some new things from speakers, a good learning experience and if nothing else, it’s a good camaraderie for them, getting away, plus they enjoy going out to eat on my tab, they always enjoy that. So we try to spend a lot of time with keeping up on things. All the times getting journals, some of more beneficial than others, but things change so much. Most of the dental materials that we used in dental school, we don’t use anymore. It’s completely different, so you’ve got to keep up with it. Technology and everything changes, some are good changes, some are bad, and you kind of pick and choose what works for you to take care of the patients. Continuing education is continuous, it’s ongoing, you can’t just stop or you’re like the dinosaur in town that did it the same way and then finally retired I guess. For those that are Southerners, native to Greenville, I’m a Yankee that moved down here quite a few years ago, which my son reminds me of since he’s a southerner through and through. I grew up in Ohio for my Michigan patients, I am a Buckeye fan, don’t hold that against me. We discuss that periodically in the office. Came down here from Ohio for school, went to Bob Jones for undergraduate, and then part way through college my parents moved down so we’ve been in the area ever since. After college, I went to dental school in West Virginia, got into several schools, one of the influences of West Virginia was my fiance had a teaching job within thirty minutes of the school, so that was a convenience; her having a job already. Four years of dental school, finished up in ‘87, it’s pretty bad I’m counting things in decades now instead of years since I graduated. Following dental school, I spent two years in a hospital based general practice residency at Bowman Gray up in Winston, Salem, North Carolina. I got a lot of good hospital based experience, dealing with sick patients. In dental school, they try to give you healthy patients so you don’t kill someone in the clinic. I saw a lot of sick patients that way; a lot of good experience. And then after that, August of ‘89 is when we opened the office here in Greenville. Dr. Brown sponsors the Wilds Christian Camp Golf Tournament. We always welcome questions, comments, and suggestions from our patients. If you would like to send an email to Dr. Brown directly, please use our online form. This form is for non-urgent questions and concerns only. If you have a dental emergency, please dial 911 or call 864-408-8873.